The 2014 Nissan Rogue marks the debut of the second generation of this compact crossover that seats five (or seven with an optional third row). 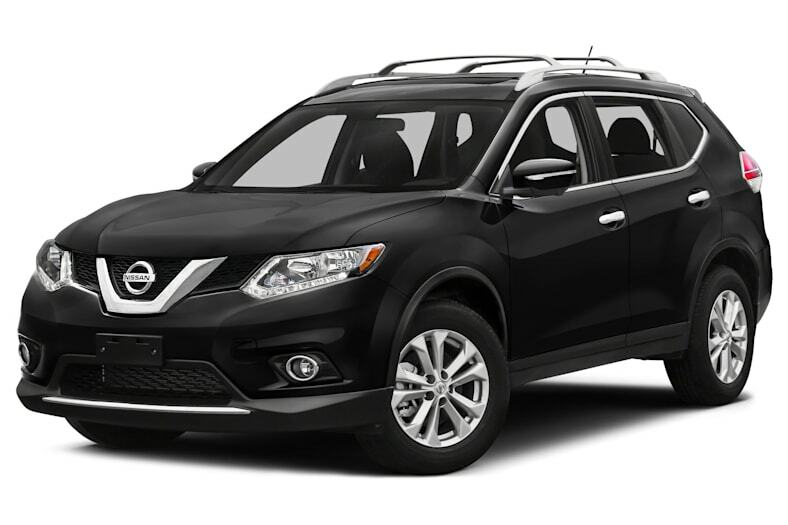 Based on a car platform, the 2014 Nissan Rogue is available with front-wheel drive or all-wheel drive. The 2014 Nissan Rogue was redesigned from the ground up, starting with a new, global platform. Dimensions have been slightly tweaked: the 2014 Rogue is an inch-and-a-half wider, and rides on a wheelbase about a half-inch longer. And although the overall length is about an inch shorter, Nissan has done a good job reconfiguring the Rogue's space to eke out slightly more head, leg room and hip room over its predecessor. Previously only available as a five-seater, the 2014 Rogue offers optional third-row seating, which brings maximum capacity to seven. However, the third-row seats are small and cramped, suitable only for small children or for carrying adults short distances in a pinch. The second row is quite comfortable, and now has the ability to slide and recline. While the previous Rogue fell short when it came to cargo space, the 2014 Rogue is much improved. The 2014 Rogue offers a maximum of 70.0 cubic feet of space with the rear seats folded down, much more than the previous generation. With all seats in place, the five-seat Rogue offers 32 cubic feet of cargo capacity, more than what's found in the Chevrolet Equinox and only slightly less than that of the Honda CR-V and Toyota RAV4. The seven-seat Rogue has just 9.4 cubic feet of cargo space available when all three rows of seats are in place. Utility in the Rogue is enhanced by numerous convenient storage features, including an oversized glove compartment, a large center console and a variety of cupholders and cubbies. All Rogue models use the same four-cylinder engine and CVT. Carrying over from the previous Rogue is Nissan's 2.5-liter four-cylinder engine with 170 horsepower and 175 pound-feet of torque, with some minor tweaks for 2014 for improved efficiency. It's paired with an updated Continuously Variable Transmission, or CVT, which Nissan claims is 10 percent more fuel-efficient than the previous iteration. Behind the wheel, the Rogue offers carlike ride and handling. We think it's one of the better handling small SUVs. Ride quality is improved over the previous generation, and the 2014 Rogue is quieter, although we noticed moderate tire noise. Towing capacity on the 2014 Nissan Rogue is now 1,000 pounds, down from 1,500 on the previous generation vehicle, both small numbers. If towing is one of your requirements, we'd suggest you look elsewhere. With relatively low ground clearance, the Rogue is not suited for off-roading. However, if you're looking for an agile, roomy small crossover with good handling and configurable cargo space, the Rogue is a solid choice.